Presbyopia is the medical term for the natural aging process that affects near vision in people around the age of 40. Most people who suffer from presbyopia use bifocals and reading glasses, which aid the eye in focusing on close objects. Monovision is another treatment for patients with presbyopia. Monovision maximizes the versatility of your vision. For normal tasks that require near vision such as working on computers, glancing at your watch or looking at your dashboard, monovision is an excellent option. However, if you enjoy activities that require the use of near vision for an extended period of time such as reading a book for several hours, you may need glasses to help reduce eyestrain. We do not generally recommend monovision at any age for people who may need to see better than average for certain tasks. Some examples would include, avid sports enthusiasts, pilots, racecar drivers and commercial drivers. In our experience, most people over the age of 40 who try monovision and take a little time to become accustomed to it, enjoy it and find it very useful. Your doctor may be able to fit you in contact lenses so that you can fully experience monovision. It is important to note that if you choose monovision and are unable to adapt, monovision can be reversed by performing an enhancement procedure. Once the enhancement is performed, both eyes will be corrected for distance vision and reading glasses will be required for near vision. The doctor doesn't believe in it. The doctor's focus is on volume, not quality. It takes significant extra time (sometimes several hours or several visits) to effectively evaluate and correctly treat a patient with monovision. The doctor wants to keep selling the patient reading glasses. 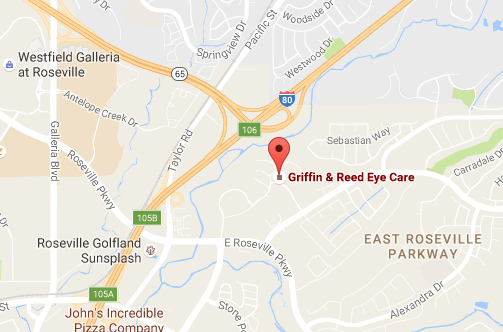 At Griffin & Reed Eye Care, Dr. Reed has had monovision correction when he had laser vision correction surgery. The reason to consider monovision is to be as unencumbered from the use of glasses as possible. We find that 90% of our patients can accommodate monovision and most love it when it is done appropriately. We believe in taking the extra time necessary to review all of the options patients have when considering laser vision correction surgery. Learn more about the Laser Vision Correction treatment or monovision in Sacramento or Roseville, California. 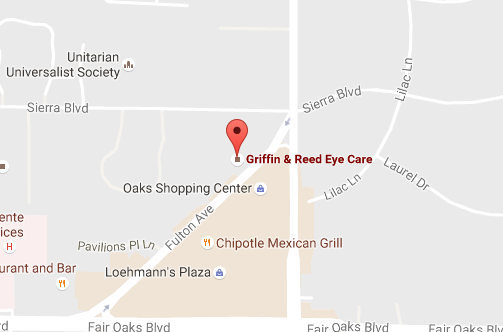 Call Griffin & Reed Eye Care at (916) 485-2020 or book an evaluation online.